Love Varnish: OPI Next stop...Bikini zone! Hi guys! Today I want to show you another one of the polish I got for my birthday giftcards: OPI Next stop...Bikini zone. It's funny, when I was looking at swatches of the OPI Brazil collection I immediately wanted this polish. Then I got the package in the mail and I was really put off by how boring it looked in the bottle. I applied it anyway, just to try it once, and I absolutely love it! Even more so than when I was looking at swatches. Next stop...Bikini zone is a lilac and champagne duochrome shimmer polish. The shimmer particles are quite big, which makes the polish very sparkly and almost foil like. I know that this color doesn't seem too unique at first glance but.. it has no green in it...! Almost every lilac/purple duochrome polish flashes green on the edges, but this one does not, which actually makes this a very unique color in my collection! And I love it! The absence of the green makes the silver/champagne really pop, and it looks great with my skintone. The only downside is that this polish is very sheer, shown here is 4 coats, which might be too much trouble for some people. But I do think that it would look awesome layered over a darker colour. What do you guys think? Is the uniqueness of the duochrome worth the 4th coat? Please tell me in the comments, and I hope to see you next week! This isn't something that I would normally buy for myself but it looks really lovely on you! That does look gorgeous on you! I usually draw my line at 3 coats though! I don't know, I'm not impressed enough for such a thin formula but it does look really pretty on you! I love that there is no green flash in this! 4 coats is kind of a lot for nail polish but I think for something this gorgeous and unique I could make an exception. Dont you just love it when I polish looks so much better on your nails than it does in the bottle. It's like opening a present when you were sure of what was inside and then being completely surprised. I didn't expect a foil to require four coats to be honest and I'd probably skip it for that reason. Otherwise I think the colour and the final looks are just gorgeous! It looks so beautiful, but the four coats is definitely a turn off for me. I don't think I could stand it enough to buy it. Isn't it funny when that happens with polishes!? I'll go back and forth on how it looks in the bottle and then on the nail it becomes drool worthy. 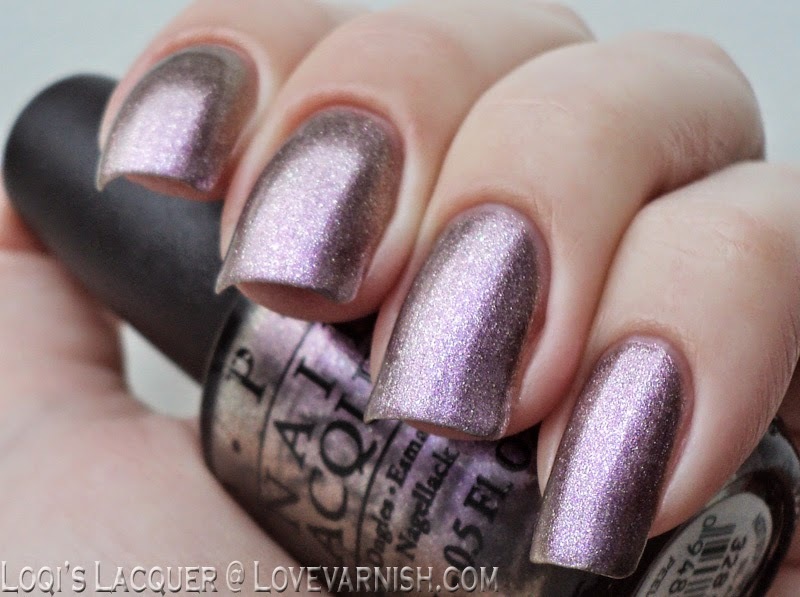 I love foil-y metallic like this - looks great on you!! Bummer about it being so sheer but I would totally rock a 4th coat with this too! Some polishes are just worth the extra effort. Gorgeous swatches!! !